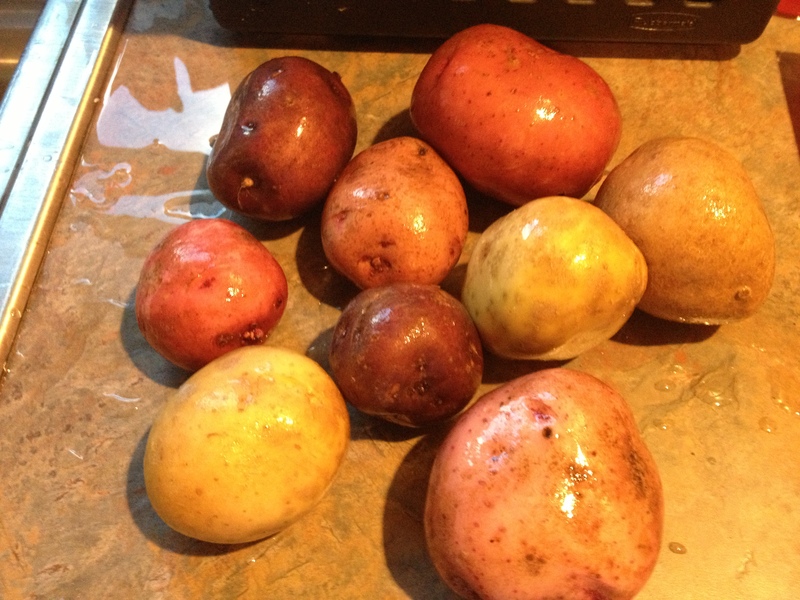 A trip to our local farmers’ market yesterday provided me with some much-needed inspiration. Before we get to today’s blog post, let me apologize for my absence the past couple months. Life threw me some punches and my blog suffered while I rolled through them. 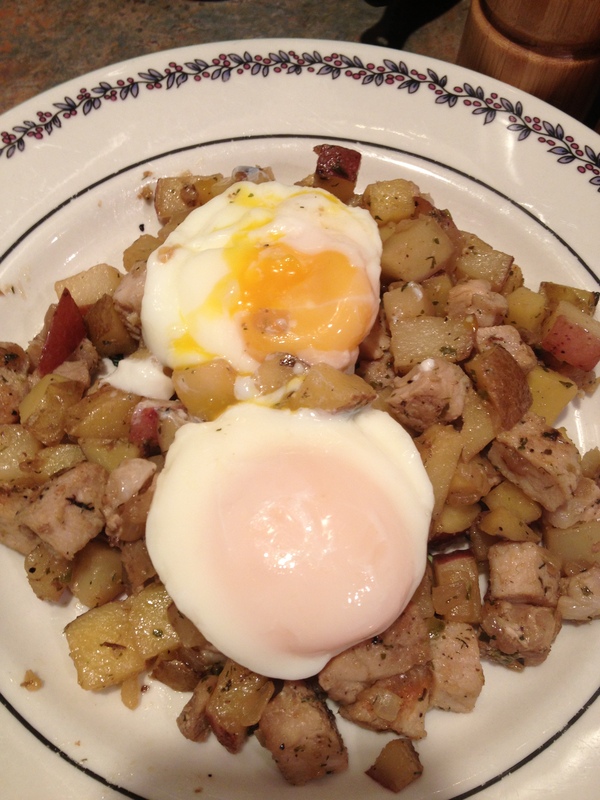 Now, onto our fabulous brunch inspired by yesterday’s market. After yoga, we strolled the farmers’ market and we were starving by the time we reached home! 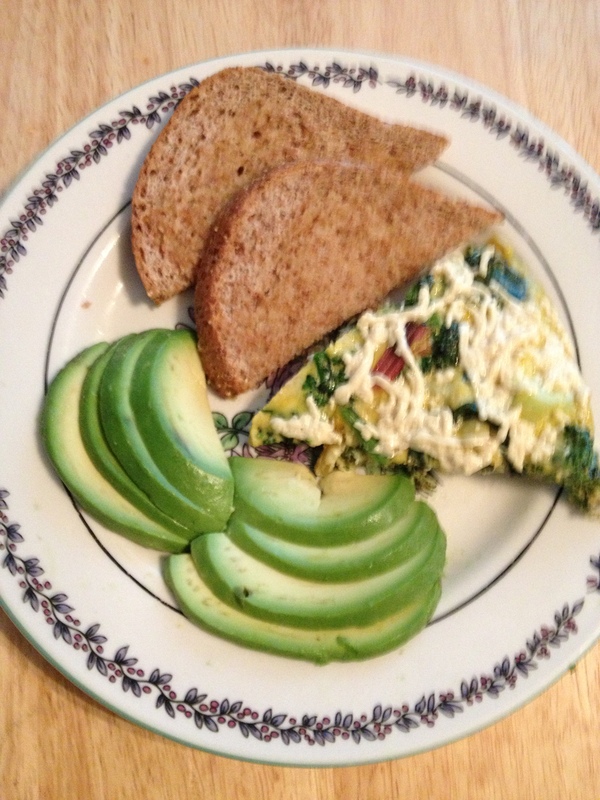 So, I threw together this quick frittata with ingredients we picked up while there. A twelve inch skillet is heating up on the stove top over medium heat while the first of the veggies are getting prepped. 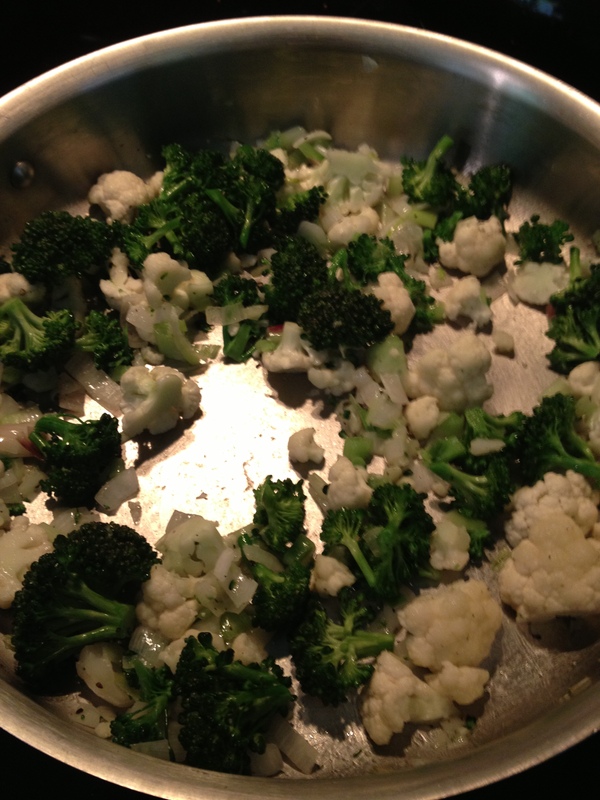 Two fresh sweet onions, two fresh cipollini onions, four fresh garlic cloves, a half cup of broccoli florets, and a half cup of cauliflower florets are rough chopped and tossed into the skillet with two turns of extra virgin olive oil. 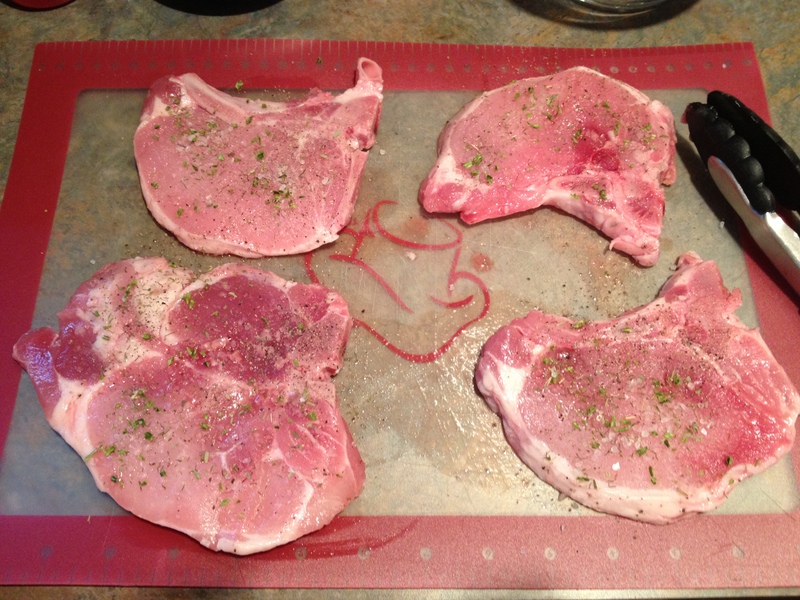 Salt well and sauté until the veggies begin to get tender. 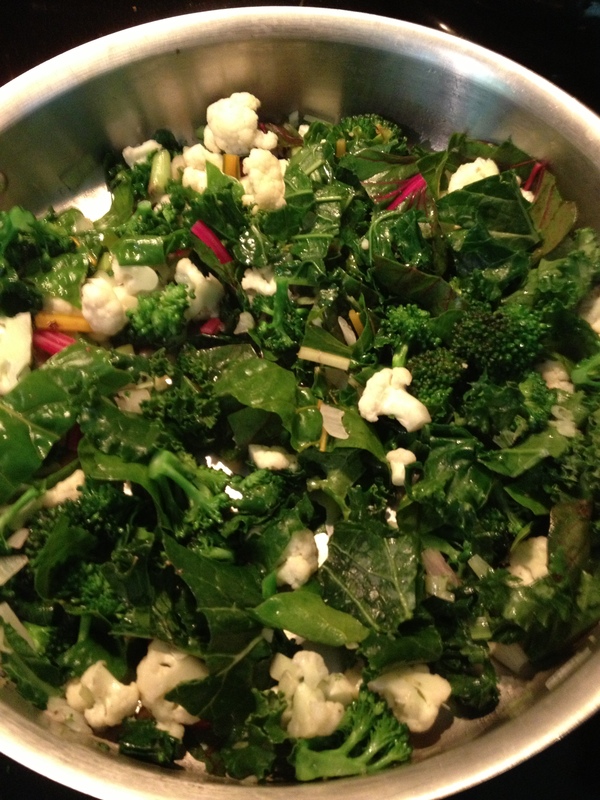 While those veggies are sautéing, rough chop a good size handful of kale and swiss chard. 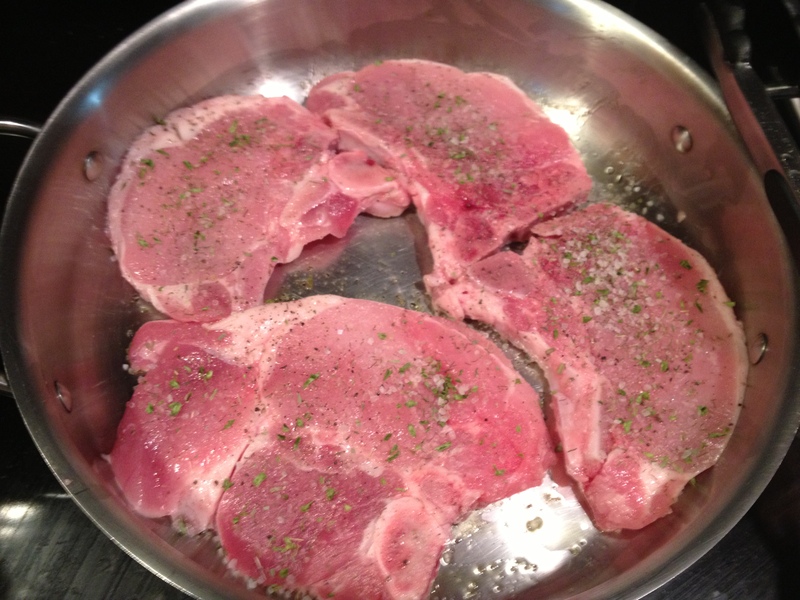 Once the other veggies begin to get tender, add to the skillet. 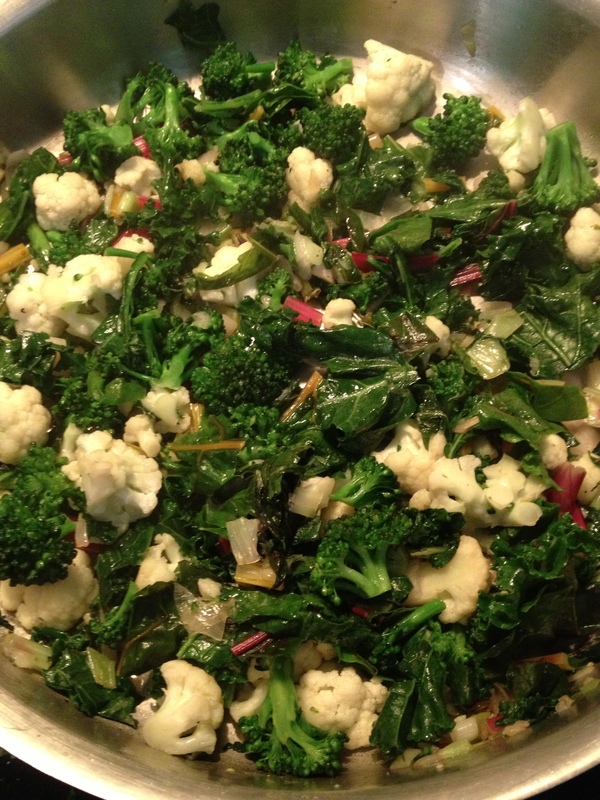 Continue to sauté the veggies until the greens wilt. While the greens are wilting, whisk together twelve eggs and one-half cup of unsweetened almond milk seasoned with salt and pepper. Pour the egg mixture over the veggies. 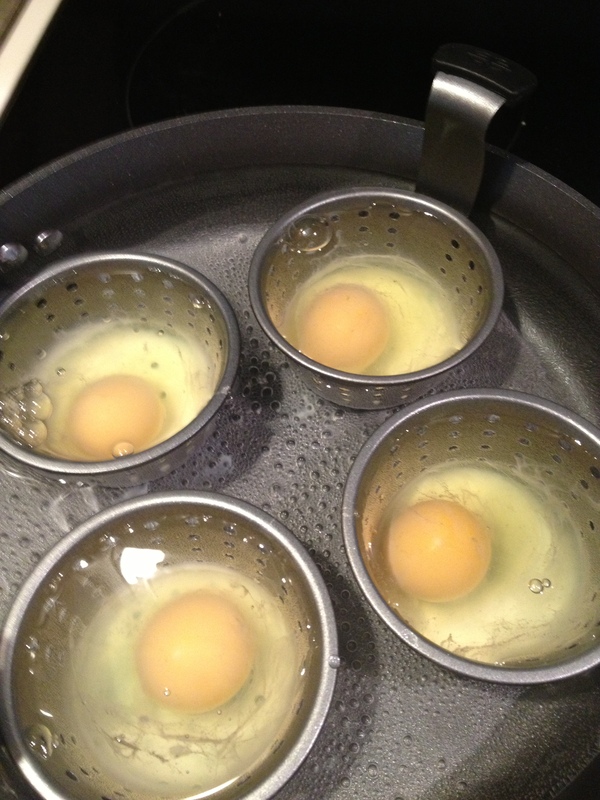 Using a spatula, continue to go around the edge of the pan moving the eggs toward the center until they begin to set. 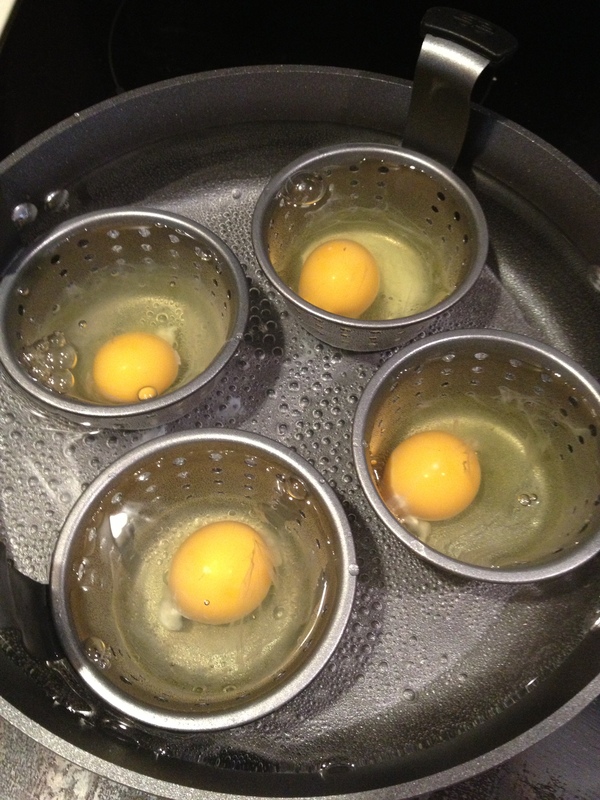 Once the eggs begin to set, move to the oven, which has been preheated to 400*. Cook about ten minutes until the edges begin to brown. 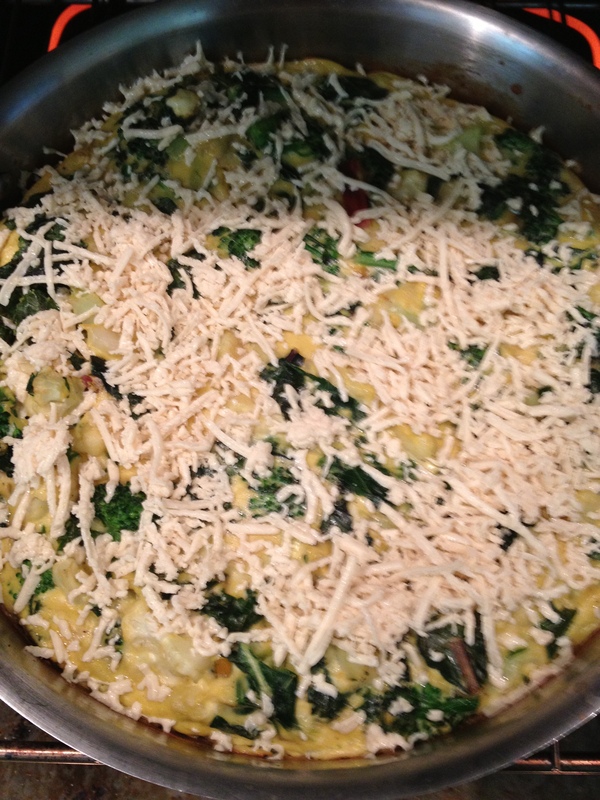 Once the edges are brown, sprinkle a quarter cup of non-dairy mozzarella cheese over the top. 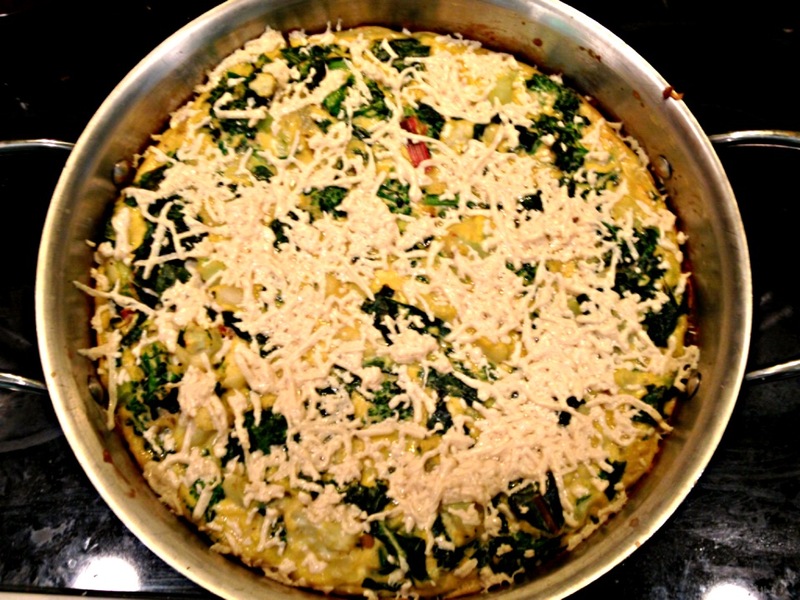 Once the cheese is nice melted, about five minutes later, pull the frittata out of the oven and let rest for another five minutes or so. 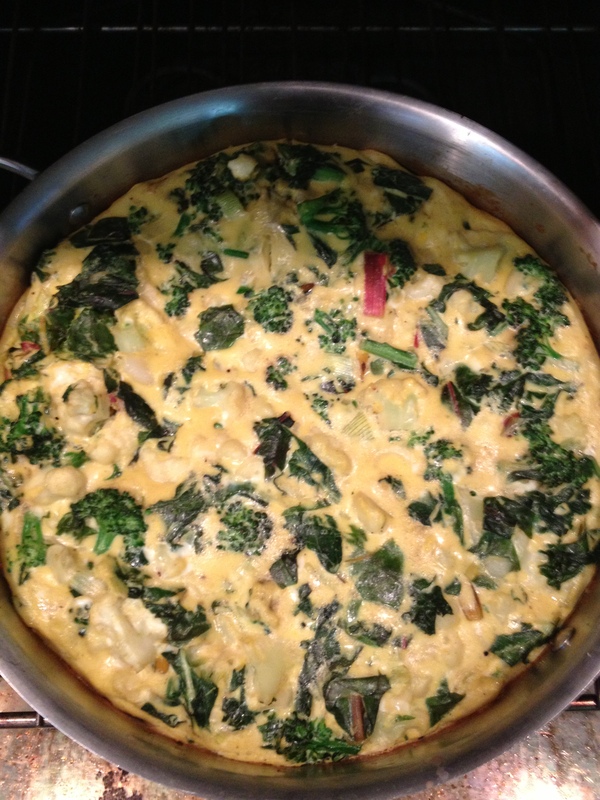 Slice the frittata as you would a pie, into eight nice size servings. 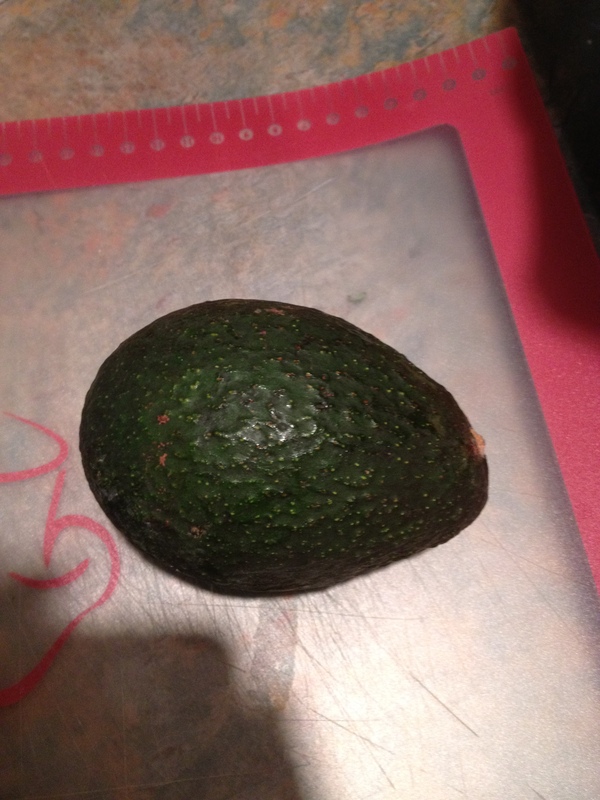 I served it along side some sliced avocado and ezekeil toast. After we ate, we decided to deliver some to our local farmers as a thank you for providing the delicious veggies! Since, Halloween is rapidly approaching, I decided to focus on pumpkin this week! Today’s recipe, pumpkin bread pudding, showcases pumpkin in a warm and savory bread pudding. This is a pretty simple recipe. 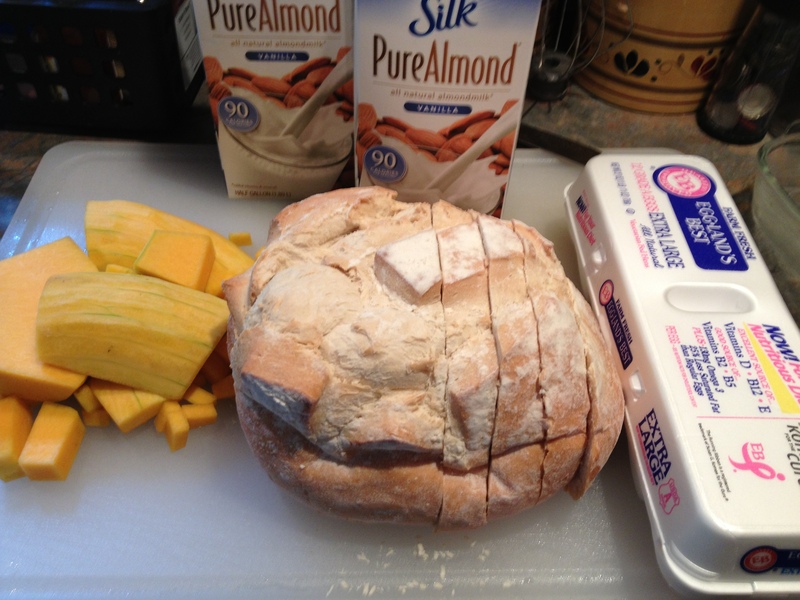 Some day old bread, pumpkin, almond milk, eggs and spices is all it takes to create this fabulous fall dish. 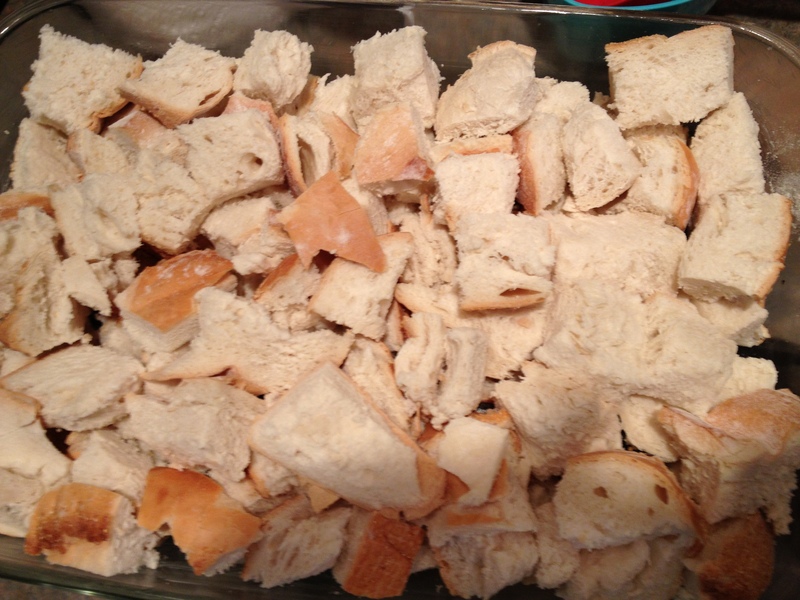 Start by cutting the bread into one inch cubes and placing them into a non-dairy buttered nine by twelve baking dish. Next, mix the custard. 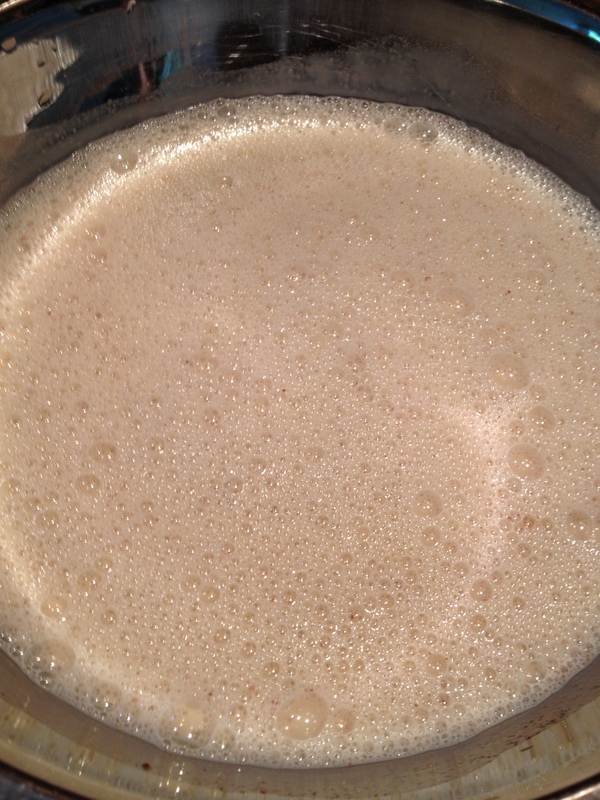 Six cups of vanilla almond milk and four eggs get whisked together. Season with grated nutmeg, cinnamon, allspice and ginger. For a sweeter version you could add brown sugar to the custard. 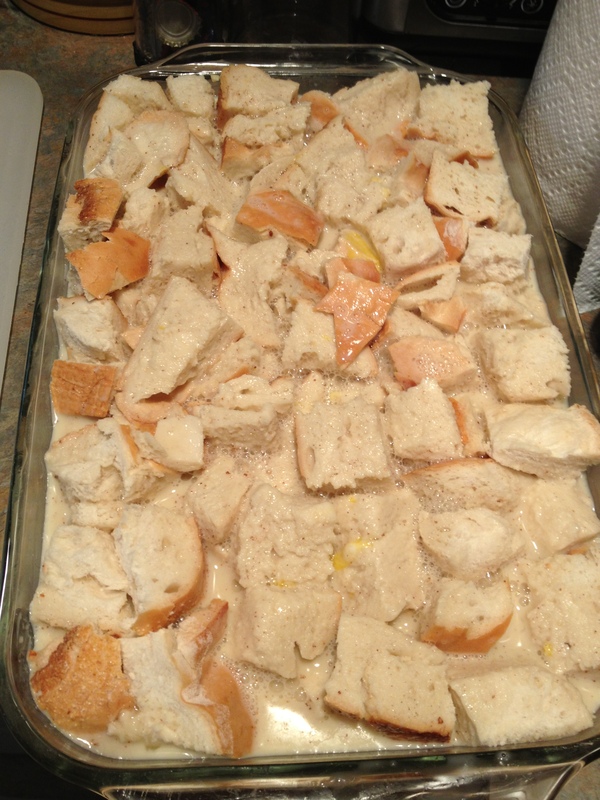 Pour the custard mixture over the bread and place aside. This needs to sit for about two hours to absorb the custard and flavors. If you are in a hurry and must cheat, let it sit for a minimum of thirty minutes. 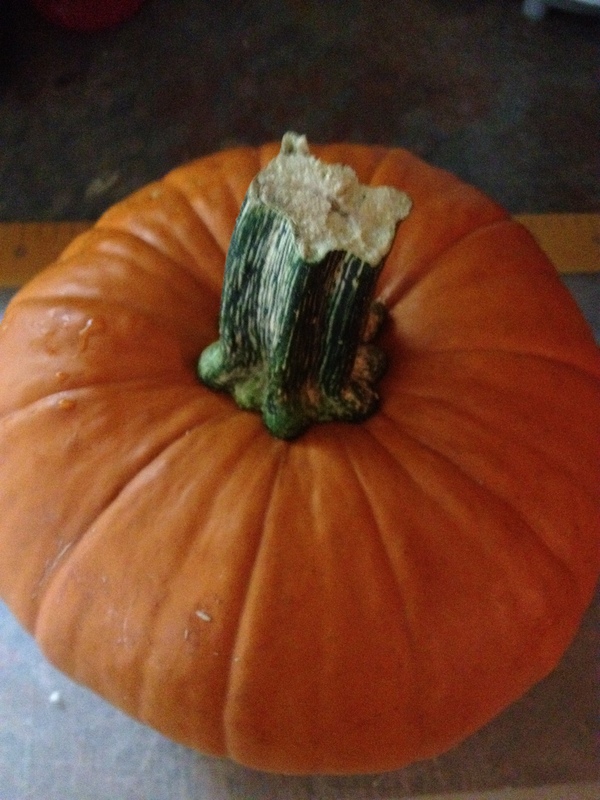 While the bread mixture sits, cube up your pumpkin. 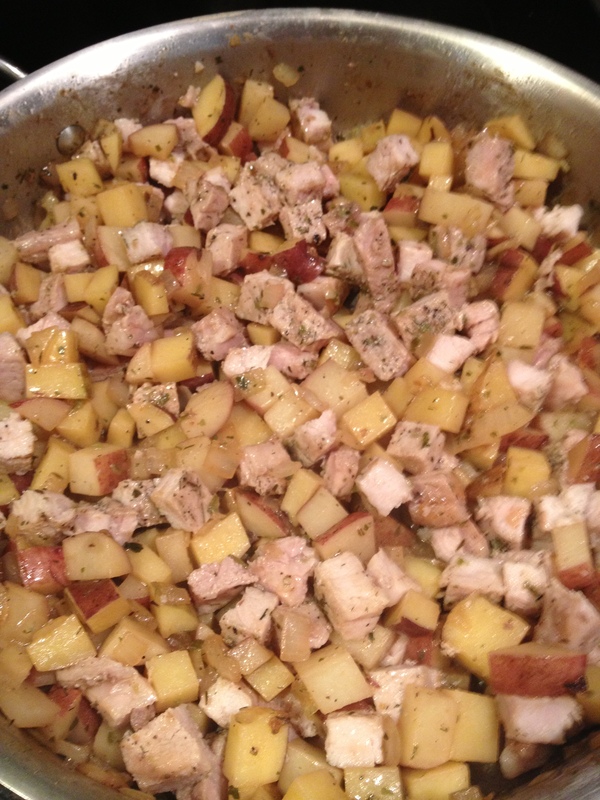 Scatter over the top of the bread mixture and cover with aluminum foil. 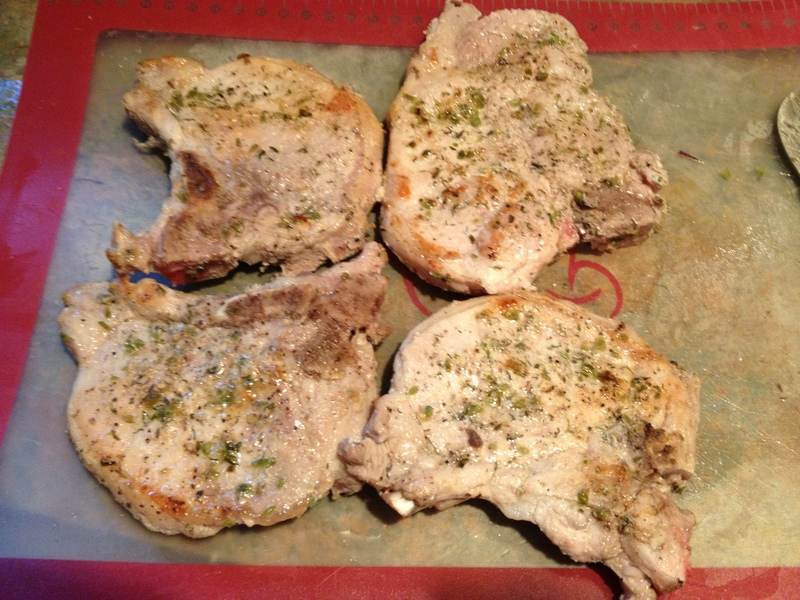 Place in a 350* oven for forty-five to sixty minutes until the top is nicely brown and the middle is firm. I apologize, somehow I forgot to take a picture of the bread pudding fresh out of the oven. Scoop into your favorite bowl and enjoy! 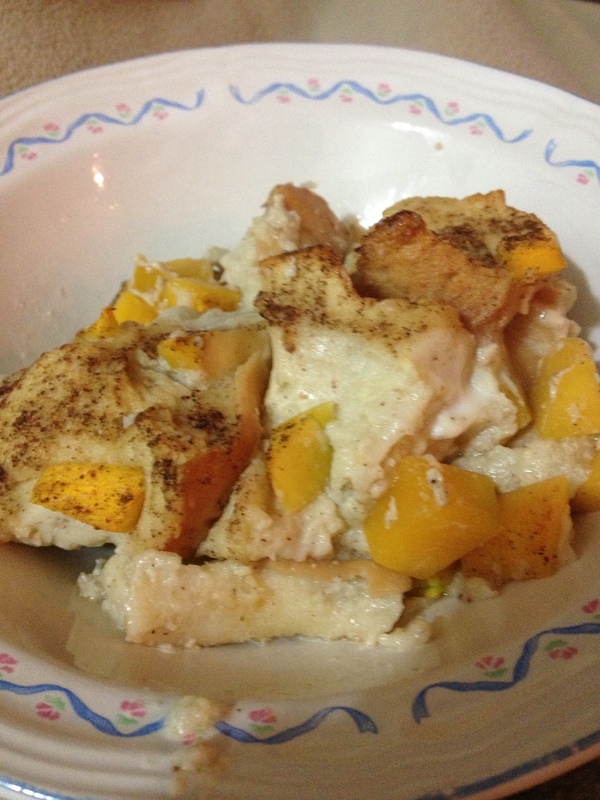 I topped mine with a little warm vanilla almond milk and grate cinnamon for dessert. This dish makes a wonderfully warm earthy dessert but would also work well as a side dish with roasted chicken or turkey. Maybe Thanksgiving dinner? 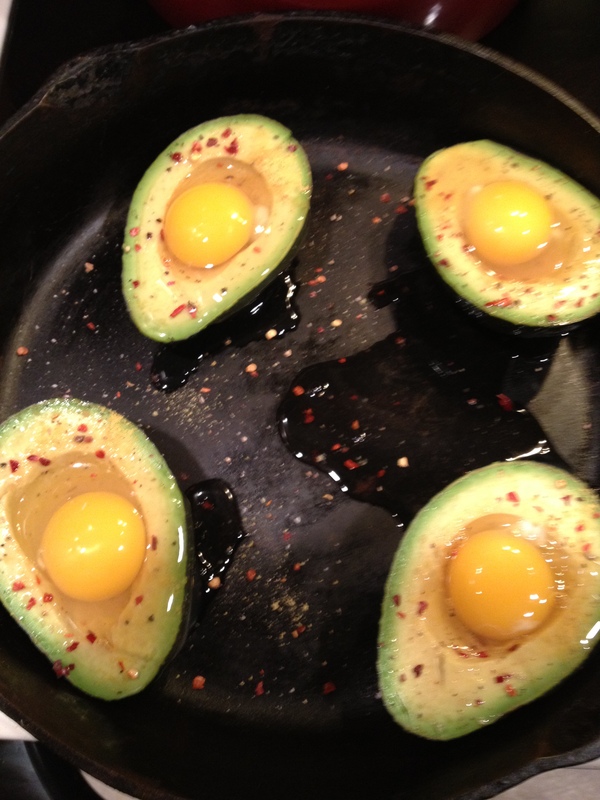 This is another of my Sunday morning breakfast ideas. There have been an overabundance of juicy sweet blackberries this year. Might as well put some to good use! Not sure what it is about this year’s produce, but it has been fabulous. Is it the heat? The rain? Both? Whatever it is, I am grateful! For this creation, I started with one quart of blackberries fresh from the farmers’ market. 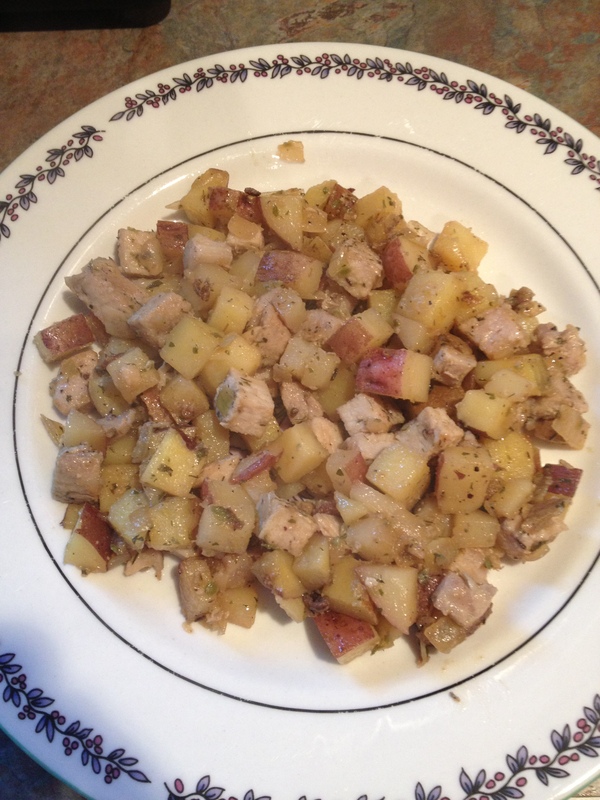 They went into a large skillet over medium heat along with one-quarter cup of sugar, two tablespoons of fresh squeezed lime juice with the zest as well, and several sprigs of blue mint from the herb garden. 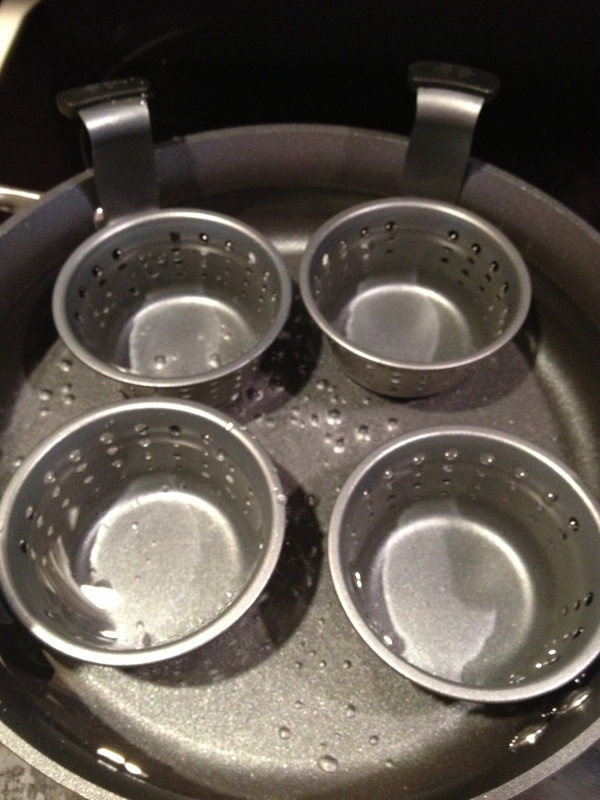 As the berries begin to soften, mash them well with a potato masher. Bring mixture to a boil, stirring often. 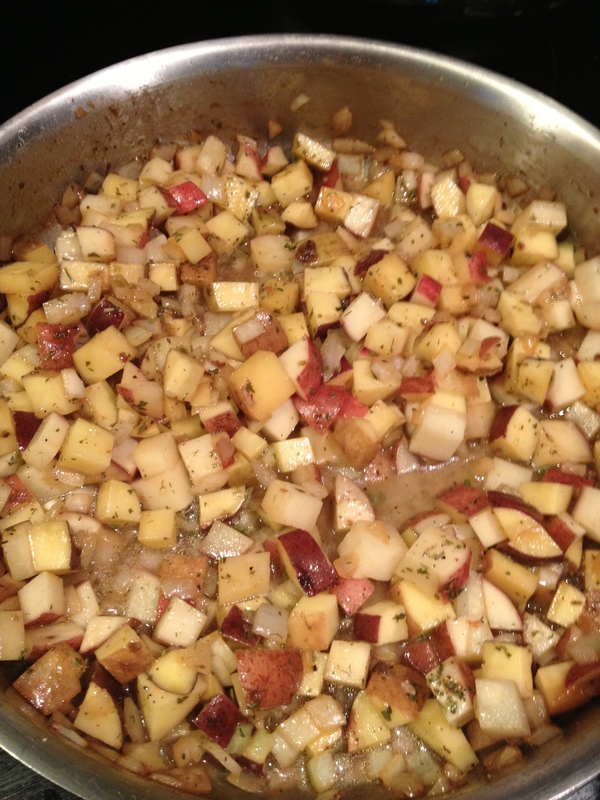 Turn down heat, and simmer ten to fifteen minutes until thickened. Meanwhile, make the french toast. In a large mixing bowl, combine six eggs, fresh grated nutmeg and cinnamon bark, and about a cup of vanilla almond milk. Whisk well. We had picked up a loaf of honey wheat bread at the farmers’ market the day before, so I decided to use that. Feel free to use whatever bread you have on hand. Slice the loaf of bread into eight or so pieces. 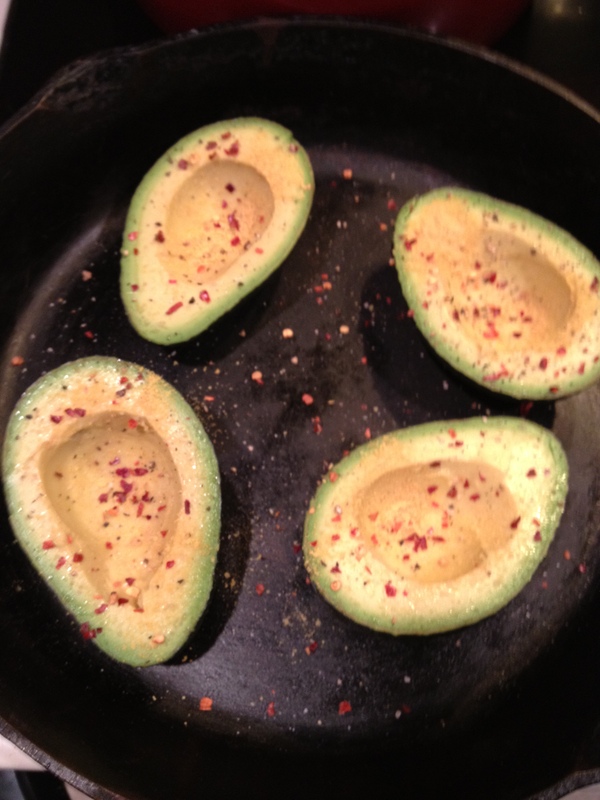 Heat a tablespoon of butter in a large skillet over medium heat. 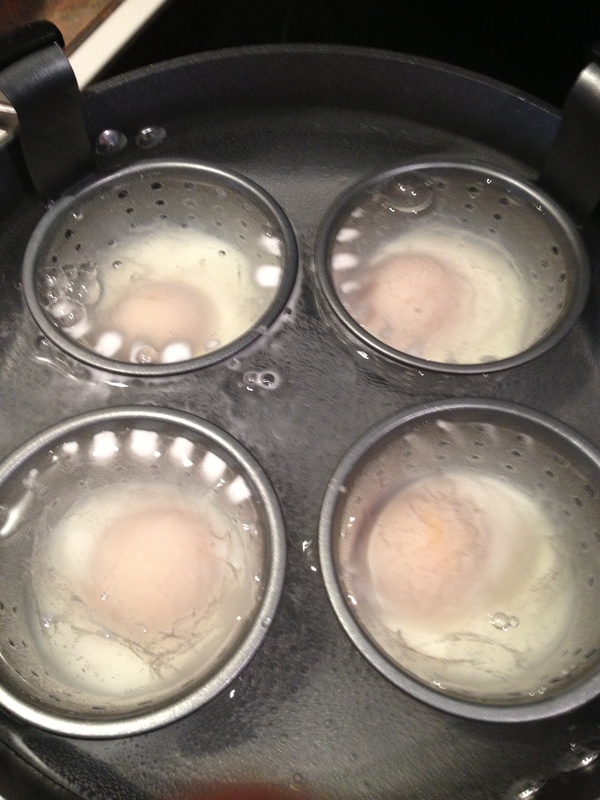 Dip each slice of bread into the egg mixture to coat both sides well. Into the skillet it goes. When browned nicely, flip over. 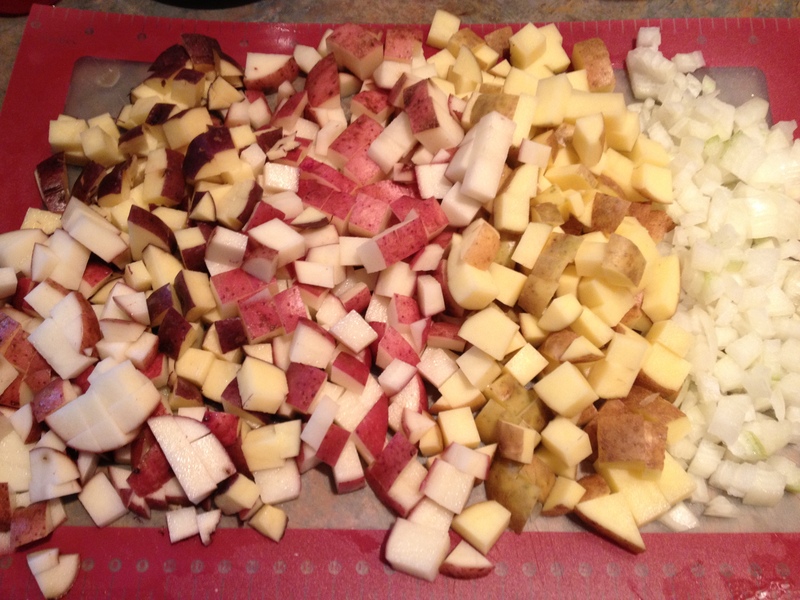 Each side takes about two to three minutes to brown nicely. When the french toast is done, serve drizzled with the blackberry mint jam. Delicious and nutritious! Decided to go with a breakfast recipe this time. 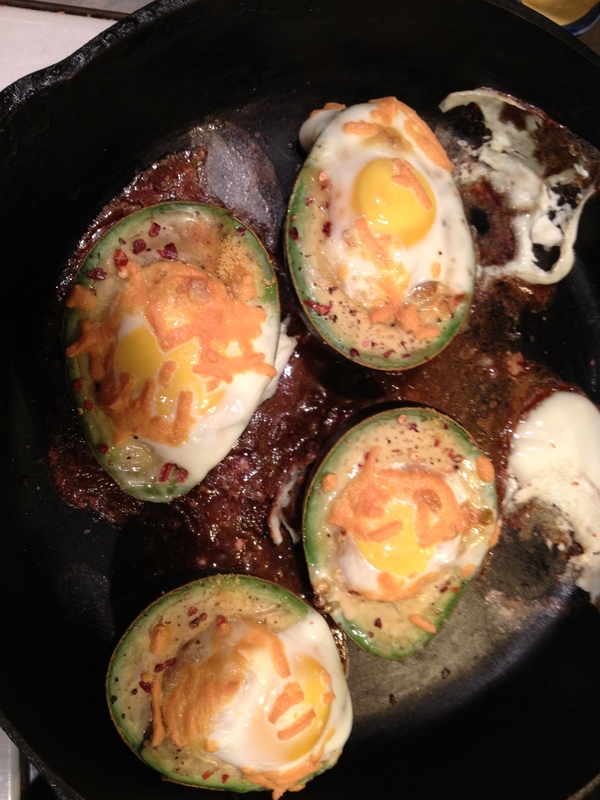 Not your average breakfast, but one of my favorites. Tofu scramble! This recipe is extremely diverse. Feel free to mix up the veggies and spices to make it your own! Press one twenty ounce block of tofu to remove any extra moisture. Crumble into different size pieces into a mixing bowl. 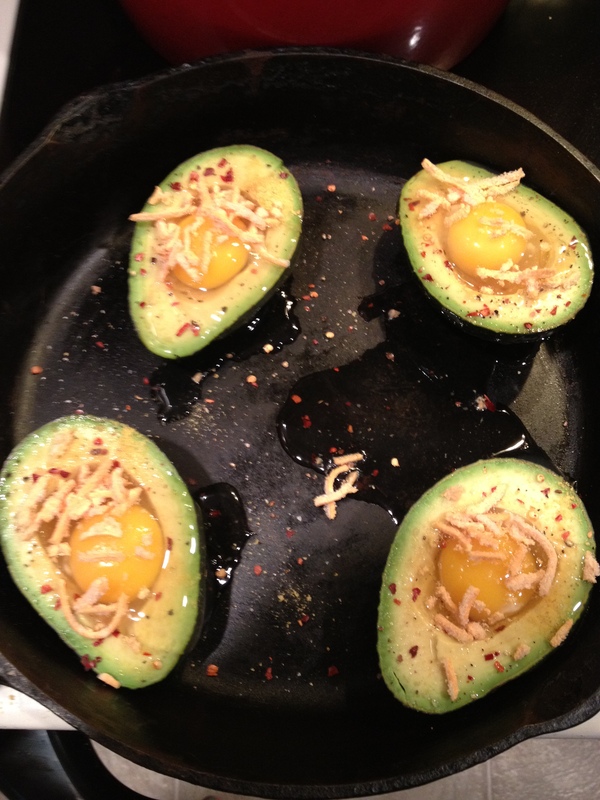 You want the pieces to look similar to scrambled eggs consistency. 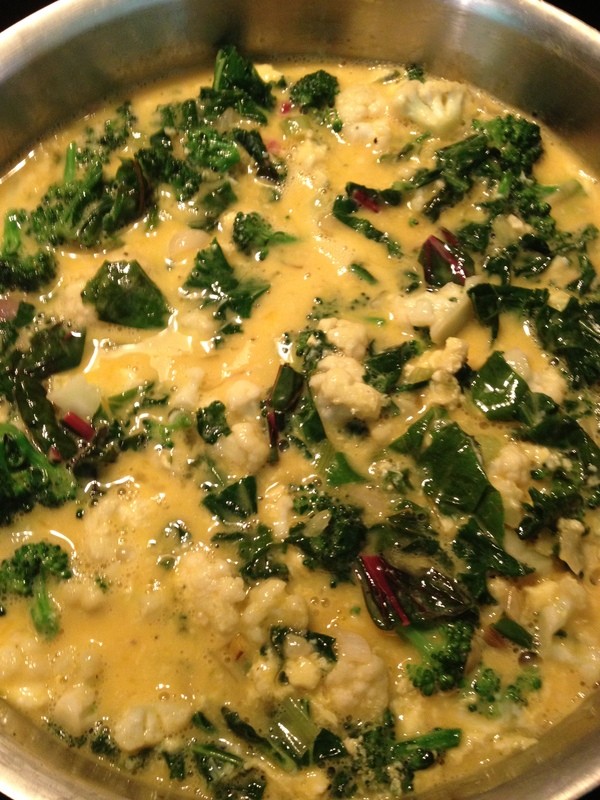 Add in two tablespoons of your favorite extra virgin olive oil, a tablespoon of nutritional yeast, a teaspoon or so of turmeric, sea salt and pepper. Mix well, with your best kitchen tool…your hands! This particular morning, I looked in the fridge and grabbed a pound of cremini mushrooms, a bunch of kale and two shallots. Rough chop the veggies. Heat a medium-sized skillet over medium heat on the stove top. Add one turn of extra virgin olive oil. 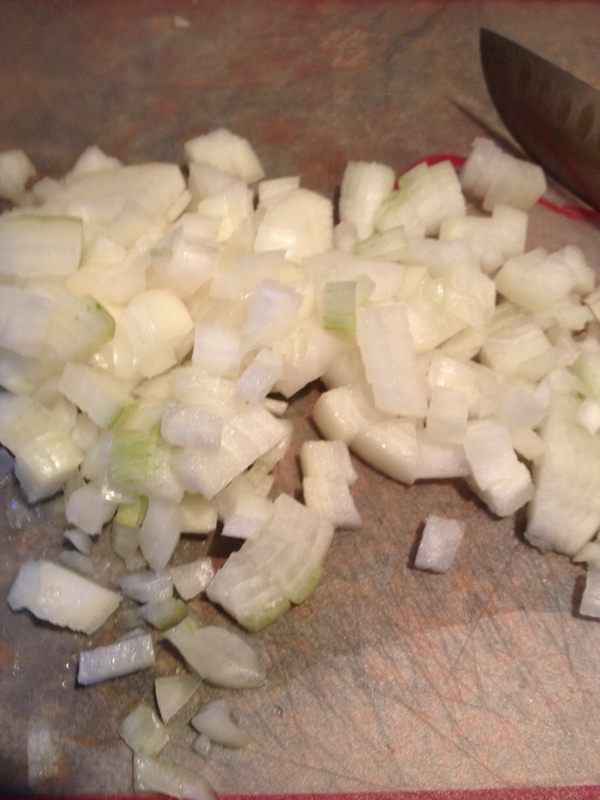 Saute the shallots and cremini mushrooms until the shallots begin to get tender. Add in the kale, and saute another five minutes or so until the kale begins to wilt. 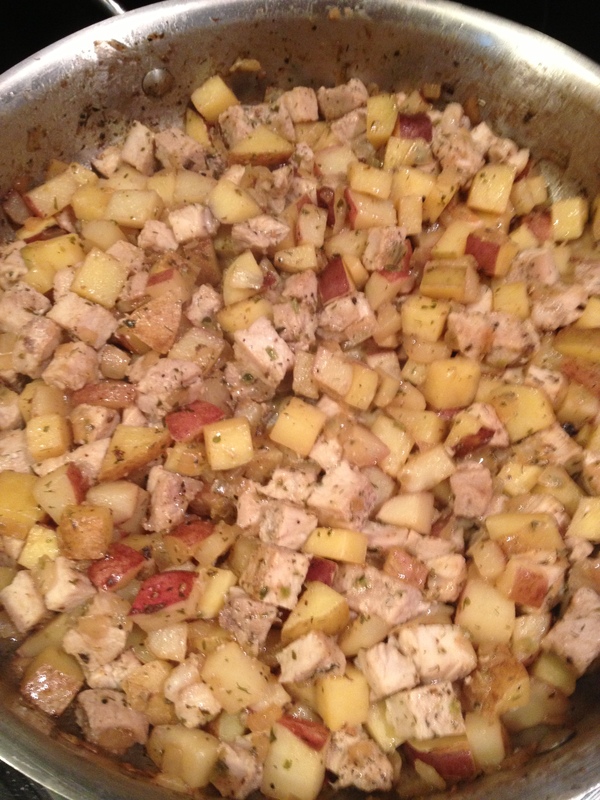 Add tofu mixture into the skillet and continue to saute until warmed through. This takes about ten to fifteen minutes. My favorite topping for any tofu scramble is sriracha sauce, but feel free to top it however you like!